For more than 14 years, Rhino's TUFF STUFF polyurethane has been providing a thick layer of protection under the most rugged conditions. 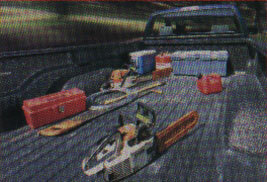 The unique flexible and textured surface really reduces cargo slippage and will not crack, warp or peel even under temperature extremes. Sprayed on up to 1/4" thick (or any desired thickness), TUFF STUFF polyurethane forms a permanent airtight and watertight seal when sprayed directly onto the bed. Off-road or in the city, Rhino Linings TUFF STUFF protects bumpers, rockers, panels, etc... against wear, under even the most extreme conditions. Rhino Linings polyurethane provides a permanent protective surface for trailers, vans, Jeeps, boats and virtually any high wear area. Sprayed-on TUFF STUFF polyurethane bonds directly to the truck bed to form permanent, watertight/airtight protection against rust and corrosion. Water can't seep under the lining. 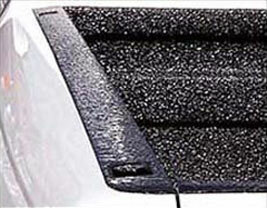 Rhino Linings tolerate temperature extremes, won't warp or crack... optional over-the-rail protection available. 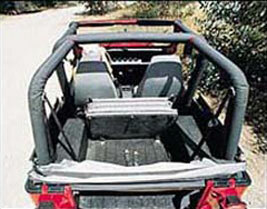 Not a paint-like coating, TUFF STUFF thick polyurethane linings work with 5th-wheel hitches and camper shells. 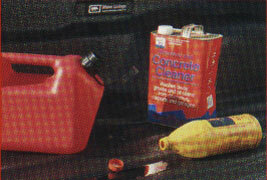 A range of colors to compliment any vehicle. Environmentally-friendly and solvent-free Rhino resists petroleum products, fertilizers and most chemicals. 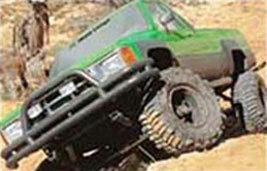 Rhino's TUFF STUFF polyurethane provides a thick layer of resilient protection, even under rugged conditions. The unique flexible, textured surface really reduces cargo slippage. 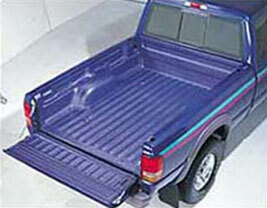 Rhino Linings' sprayed-on truck bed linings outperform all plastic drop-in liners, rubber mats and paint-like coatings. 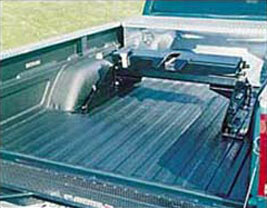 Rhino gives your truck real bed protection. The slippery drop-in liners crack, peel and warp and remove surface paint from your truck as they shift and rattle in the bed. 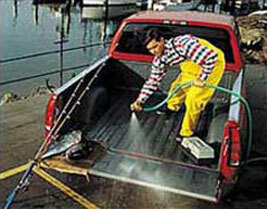 They also trap moisture between the liner and the bed increasing the risk of rust and corrosion. 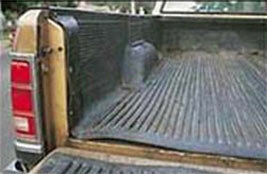 Nothing protects your truck bed like a real Rhino.